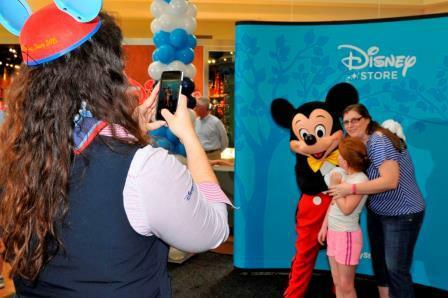 Home LifestyleLocalRaleigh	Raleigh: Meet Donald Duck and Daisy Duck at The Disney Store! Calling all Disney fans in and around Raleigh, NC! You may have noticed our beloved Disney Store at Crabtree Valley Mall has been closed for the past few weeks. 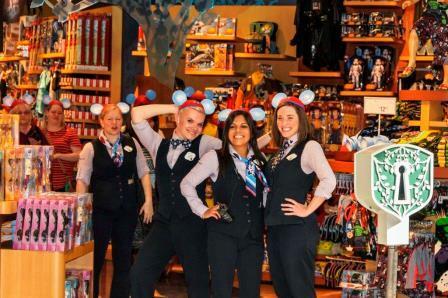 This was due to some much-needed updates but they are ready to open their doors once again and the new and improved Disney Store promises to be better than ever! 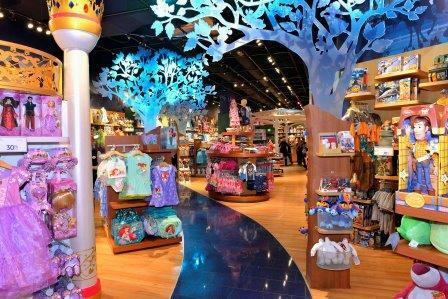 New features include a glittering path, called Pixie Dust Trail, which leads children through the various storytelling “neighborhoods” throughout the store. Magical Trees are placed throughout the store and will change with the four seasons. The Disney Store Theater is a giant curved screen where guests can choose from over 50 clips to watch. Disney Princess neighborhood and Boys Neighborhood include interactive areas allowing children to become a part of the story and the custom skyline incorporates landmarks from around the world that have been featured in Disney films as well as local Raleigh landmarks including the Raleigh Memorial Auditorium and the J.S. Dorton Arena. Attend the Grand Opening on Saturday, May 9, 2015 – Disney Store at Crabtree Valley Mall, 4325 Glenwood Ave. Raleigh, NC 27612. I don’t have to tell you where we will be on May 9th, do I? Hope to see you there! I spend many, many hours at Crabtree mall as a kid. Brings back memories. I used to work there too as a teenager.